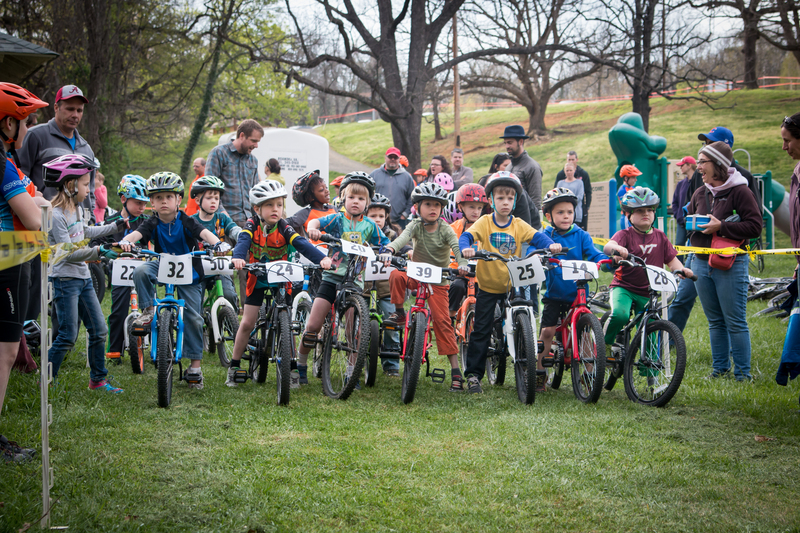 We created the Roanoke Valley Junior Mountain Bike Race Series in 2013 in cooperation with East Coasters Bike Shop. Since then we have introduced hundreds of boys and girls to the thrill of mountain bike racing in a safe and age appropriate setting. Racers between 2 and 14 years old compete against kids their own age on courses that increase in distance and difficulty by age group. Racers can compete in one or more of the following age categories. Riders are free to race above their age level, but in the interest of fairness we cannot allow anyone to race below their age level. Dates for the 2019 races are July 2nd, 9th and 16th. Stay tuned for additional information and registration coming soon.